Arthur John Ware Birdling (AKA Jackie) was born November 6th 1890 in Hornby, Christchurch to proud parents Mr Arthur Birdling and Mrs Emily Agnes Birdling (Callaghan). He was the eldest of 4 siblings, followed by his brother Gerald, sister Eileen and youngest brother Huia. He was the grandson of William Birdling and and Jane Birdling (Loveridge). The Birdlings were a well known family in Christchurch at the time, and have Birdlings Flat named after them. His Enlistment papers report him to be 5 foot 10 inches and weighing in at 175lbs, of brown complexion, dark hair and brown eyes. He also had a scar on his right thigh which is mentioned in all his medical military records. He was born in Hornby and grew up in Christchurch where he resided in the Halswell area. He attended Halswell Public School and then afterwards Christchurch Boys High. It was at Christchurch Boys where he began playing rugby, gaining his cap in the first fifteen as a forward. He is reported as being “a fine stamp of a player”. After leaving school and before he enlisted into the Army he began working as a farmer for the family and became involved with the Territorial movement. He volunteered with the Main Expeditionary Forces where the Defense Department would find him to prove himself an “apt officer”. Arthur enlisted in the Army on March 13th, 1915. He was a member of the 1st regiment Canterbury Rifles and he left New Zealand as part of the 6th Regiment Mounted Rifles of the New Zealand Expeditionary Force where he rose the rank of 2nd lieutenant. He left from Wellington on the 14th of August 1915 and travelled to the Suez Canal in Egypt aboard the SS Tofua, which he arrived at on the 19th of September, 1915. It was here he received further training, with his service records mentioning him proceeding to a “school of instruction”. On the 8th of April 1916 he then travelled to Somme, France aboard the SS Haverford and it was in Somme where he was sadly killed in action on the 20th of September, 1916. His official K.I.A report states he died of wounds. His death was reported in the London Gazette on the 1st of June 1917, as he was officially ‘mentioned in dispatches’. A member of the armed forces mentioned in dispatches is one whose name appears in an official report written by a superior officer and sent to the high command, in which his or her gallant or meritorious action in the face of the enemy is described. Sadly, Arthur was not the only Birdling to be lost in the war. 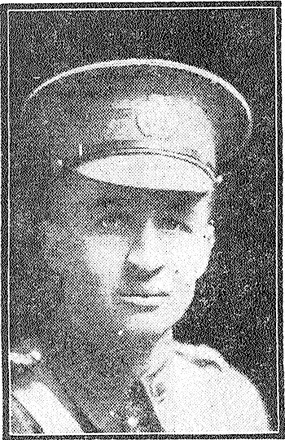 Arthur's cousin, Reginald Frank Birdling, son of Frank Gillam Birdling, was also killed in action in Gallipoli in August 1915. Arthur’s younger brother Gerald was also wounded in the war, but he survived and returned home to continue to lead a normal life until his death in Nelson in 1981. Arthur’s parents founded a £500 history scholarship at Christchurch Boys High in his honour. The Birdlings were well known and respected in and around Christchurch, with perhaps the most well-known Birdling in the area at the time being Arthur’s Grandfather, William Birdling. There are at least 2 articles from the time of William’s death mentioning his funeral, and how large and respected it was. It mentions how William had always been looked upon by the Maori community at Little River as “one of their greatest friends”. The men, woman and children at the service wore wreaths of laurstinas on their heads. The hearse was draped and profusely hung with flowers and wreaths, and the procession was unusually long with over 100 vehicles partaking. In accordance with William’s wishes, six members of the Maori community acted as his pallbearers. Their names are recorded as Gray Skipper, Tami Tututana, Teoni Tini, Pipiha Pepene, Kini Terongapu Tahi and Hoani Kini. Arthur Birdling is remembered on the Halswell War Memorial.